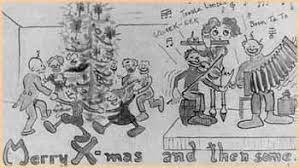 A full color card drawn by Joe Hill in the Salt Lake City jail. Inside is blank. Union printed, envelopes included.